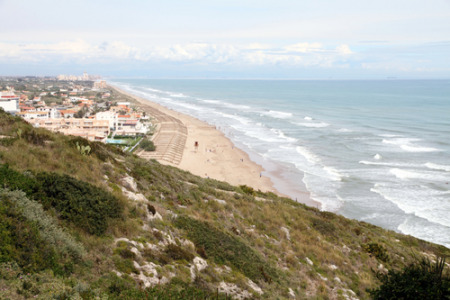 Playa de Gandia holidays transport you to a large resort on Spain's sunny Costa Blanca. It is located fairly close to Denia and being only forty miles from Valencia, is within easy sightseeing distance of this wonderful city. Holidays to Playa de Gandia can be enjoyed at any time of year as the summers are long and hot and the winters mild. The busiest months are from April until October with temperatures rising from mid-twenties to the low thirties at the height of the season. Stretching round a wide bay, the resorts greatest asset is its fourteen miles of sandy beach.